This week, we had a huge breakthrough in our Supreme Court case to protect old-growth forests in East Gippsland. 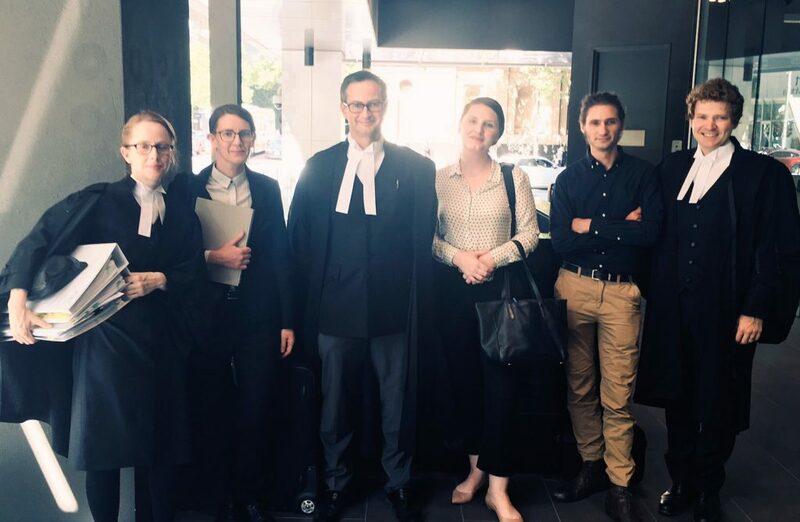 Under cross-examination by our client’s barrister, a key witness for the Environment Department agreed that logging old-growth forests should be stopped altogether. Their own policy document reveals the Department think logging old-growth forest is not environmental best practice, does not have the support of the Victorian community, and recommended it be stopped six months ago. This is a huge admission from the Department and testament to the impact of a powerful community campaign to protect our forests! We made sure the story got out – you can read about it in The Guardian. But VicForests still has permission to destroy what’s left of our precious old-growth forests, and the Environment Department is fighting in Court so that VicForests can continue the practice! We urgently need to stop logging in these magnificent forests before there’s nothing left to protect. We’ll be back in Court in the new year to resume our hearing and will keep you updated. You can read the background of the case here. We also have another case that will be heard by the Federal Court in February – to protect the forests that are home to the critically endangered Leadbeater’s Possum and the threatened Greater Glider. You can lend your support here. And read more about the case here. With so much of our beautiful country cleared, fragmented and degraded, it’s critical that we protect the remaining old-growth forests of East Gippsland. Thank you for supporting our forests. We couldn’t do this vital work without you.